Thalia Allen's plan for a fun-filled retirement is blown to bits when she has to assume custody of her teenage granddaughter. Joe Lambert is a Katrina evacuee, living in the Austin Convention Center shelter. All he wants is to go home. 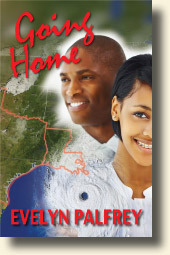 When Thalia invites him to move into her home, everybody who knows her thinks she's lost her mind. Sometimes she thinks so, too. "Bobbie" Strickland, an Austin elementary school principal, couldn't really believe ex-army officer Ray Caldwell was coming on to her. She isn't a young woman anymore, and, besides, she has bigger priorities than a relationship--such as fighting her own daughter in court for custody of her grandchild. Yet strong, honest Ray has the "right stuff" to make her feel like a desirable woman again. 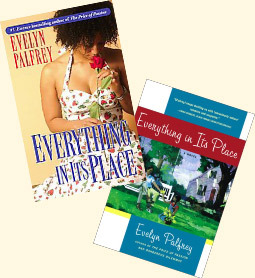 Neither Bobbie nor Ray can guess how desperately Darlene is fighting to escape the demons of her past . . .in a drama that will test the strength of African American faith-and-family values and all the courage in a woman's heart." Reeling from the ultimate betrayal by her husband, questioning whether her child could actually be a killer ... should Audrey allow a mother's love to keep her from finding happiness? What would be the proper question to ask your husband of twenty years when he brings home his illegitimate baby as casually as a bag of groceries? Left alone with this tiny, helpless bundle that disgusts and fascinates her, Vivian faces some of the hardest choices of her life. Three women of different ages and races - fast friends after 10 years - encounter three rugged men and a macabre murder on a remote lake in the beautiful piney woods of East Texas.